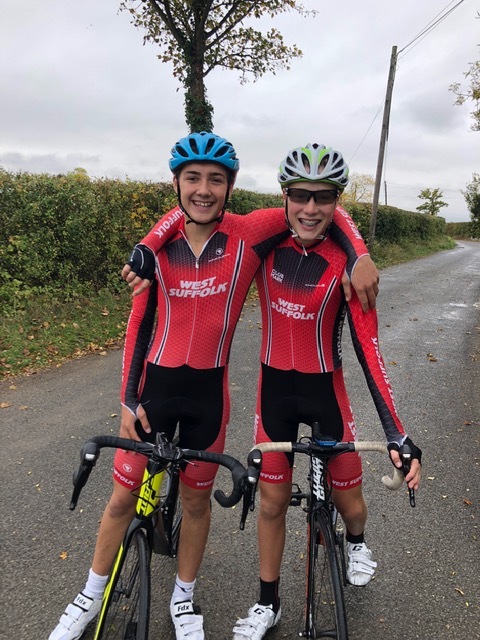 The next generation of Wheelers were out in force for last Sunday’s Falling Leaves Hill Climb, run over Watson’s Hill, Semer. This annual event hosted by CC Sudbury is a popular and hotly contested race. 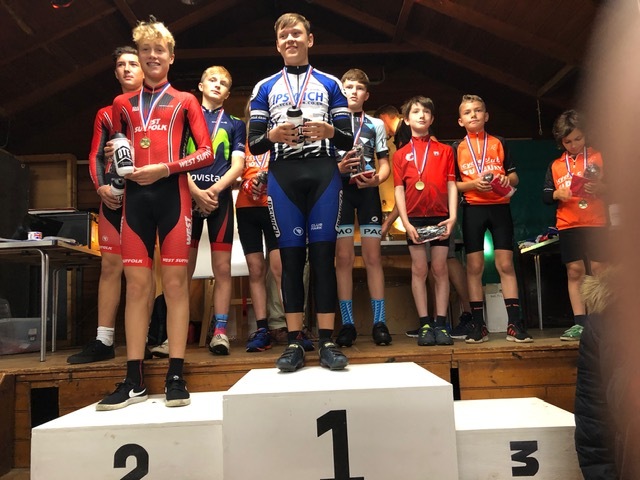 Were it not for the efforts of William Carlyon of Ipswich BC, the Wheelers would have locked out the podium in the Juvenile category. Oscar Woodward missed out on 1st place by just 1.1 seconds, posting a 55.1 second climb to Carlyon’s 54.0. Charlie Knowler came 3rd in 59.6 with Jordan Denny in a close 4th just 7 tenths of a second behind. The fourth of our youngsters, Tommy Dickson, put in a great effort for 8th place in 1:27.3. Malcolm Borg was disappointed to suffer a mechanical which meant he only managed a 1:18.3 in the Vet category.